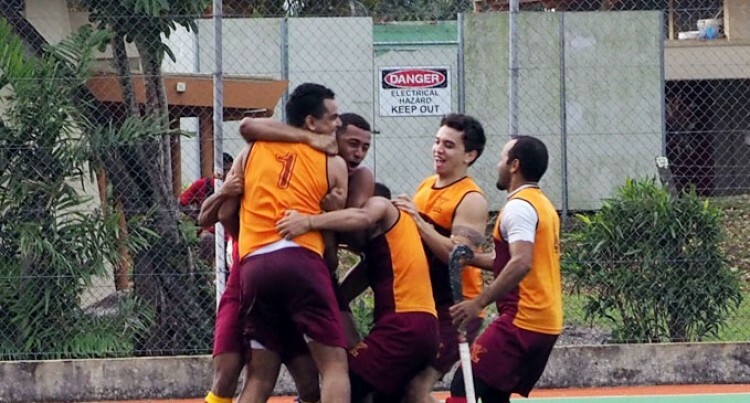 The Ventures have retained their title for the seventh year in a row after defeating Marist Whites 5-4 in penalty strokes of the 2015 Geotech International Marist Eastgate Hockey men’s grade at the National Hockey Centre yesterday. It was a tough final for both teams as Ventures drew first blood but Marist Whites fought hard in the second-half to grab an equaliser sending the game into golden goal and then penalty strokes where Ventures grabbed their win. Coach Hector Smith said he was proud of the way his player’s performed even though they let their guard down in the second half. “It was anybody’s game as it has been a very tough competition,” Smith said. “I think we let ourselves down towards the end of the second-half when Marist scored but that’s hockey; one has to win and one has to lose. “I am very proud of the way the boys performed, we are a very close-knit team, and our families have been very close for a long time. “Some of these boys were in Year Three in Suva Grammar School when they started playing for us and now they are fathers and grandfathers. “The camaraderie is very strong and that’s what separates us from the other teams. Meanwhile in the women’s grade, Ventures managed to get their cup back after beating defending champions Stingers 1-0. Coach Alison Southey said she could not be happier to have the cup back with them especially since the player’s trained so hard. “The Marist Tournament has always held a special place to the Ventures women’s hearts mainly because we won it 11 consecutive years, last year unfortunately we lost through strokes and this year the girls trained really hard to get that cup back,” Southey said. “The girls are disciplined and are committed to the club, they have trained really hard and they have put in a lot of hours to get to where they are today.